Bans - Ill be pre-banning the ones not welcomed. Everything that isnt part of your rank will stay. Void: Falling into void will return you back to surface with poison. Supply Drops: More drops have been added on the arena. 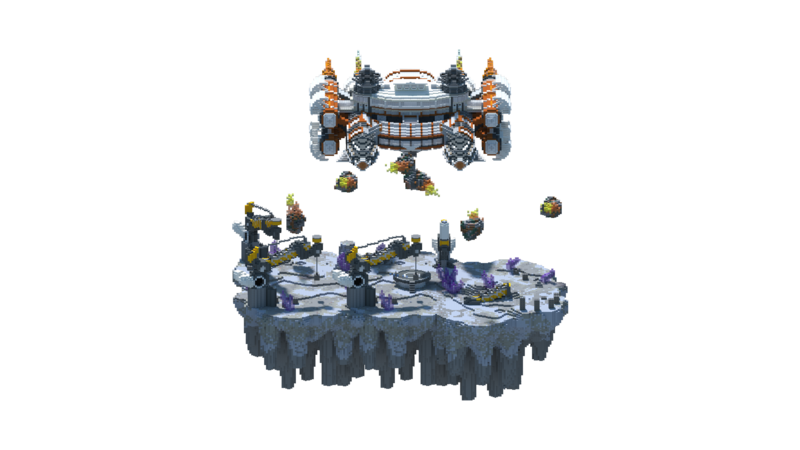 Ores: There are ores scattered around the arena that is mineable and will regen over time. 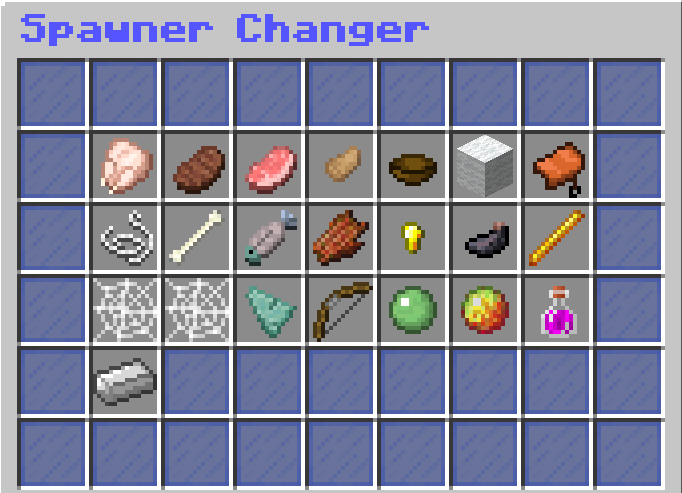 Spawners: You will no longer be able to change a spawner via a command. Change Spawners: You will be able to change spawners for a fee per mob when you right+click a spawner whiled placed down. Commands: Some commands maybe be added or removed I would check the buycraft rank info. 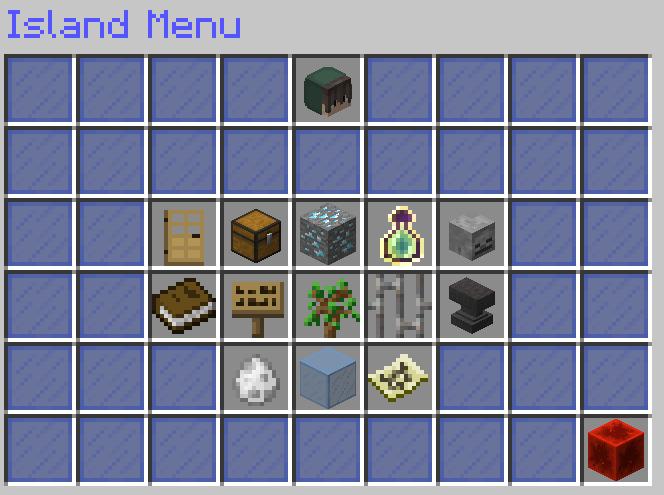 Island Menu | It was made more organized and customized with a few addons. 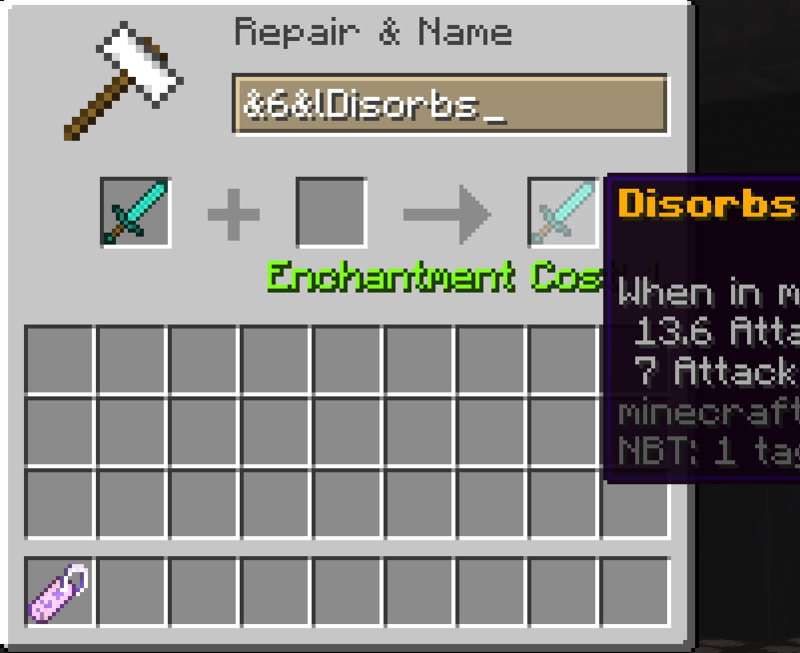 Added Custom Enchants | /ce - Can be purchaced by using Token Enchants from voting or with Exp. Added Sell Wands | Sell all items in a chest when you right+click it with a wand. Added Reaction | Type the word first than others to win rewards. Added Bartender | /bar - Gamble your money with drinks in-game. Added Rename Tags | When aquired you're able to change the name of an item with colors. 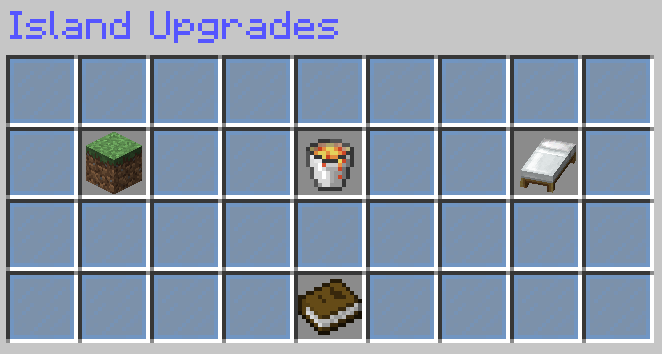 Block Crafting: These items will only be obtainable through in-game shops.